When I started getting allergy shots I searched for “personal experience with allergy shots”. I wanted to find allergy shot reviews. I wouldn’t find much other than a lot of medical explanations for what allergy shots were. I wanted to hear from people who had experienced the shots. I wanted to hear real allergy shot reviews. This article aims to help other people who have been diagnosed with allergy and are contemplating allergy shots. Please don’t confuse this article for “cortisone shots” which are not allergy shots. 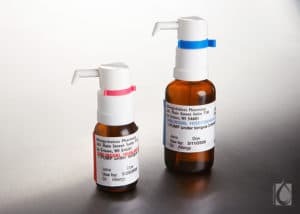 Allergy shots (or subcutaneous immunotherapy) are a long term process to cure allergies, while cortisone shots are a quick fix but work for a short amount of time to reduce inflammation from allergy symptoms. Allergy shots affect everyone in different ways. 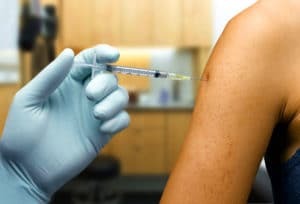 Your response to the shots will depend on your allergy symptoms and the number of things you’re allergic to (check out my other article answering the most common questions about allergy shots). In 2012 I was tested for allergies. Initially, I was only tested for a handful of allergens (about 20 common allergens). The test used plastic nodes that were coated with common allergens. Almost all of the 20 tests came back positive. I developed little welts where the allergens made contact with my skin. I had a quick consultation with the allergist while the nurse rubbed anti-itch cream on my back. We discussed the possibility of allergy shots or drops and because I was moving, the doctor recommended I be prescribed allergy drops. To be honest, the process wasn’t explained very well to me but I wanted to solve my allergy so I started the “building up” process. The building up process is a slow process where I would slowly increase the dosage of allergen I was being given. Allergy drops are placed in the mouth and under the tongue. I would start by putting one drop of custom mixed liquid under my tongue, and I’d do this every day. Then after 5-7 days, I would increase to two drops and so-on. 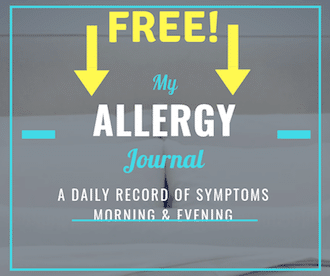 Slowly the drops would become stronger and the goal was that my body would recognize the allergen as harmless and slowly stop reacting (causing symptoms). The doctor and nurse gave me some good tips for managing dust mite allergy that I also wrote about on my blog. For those of you wondering, allergy drops are yet to be approved in the U.S. by the Food and Drug Administration (FDA). They are used by many allergists in the U.S. and is common in Europe. Allergy drops are a popular researched practice in the U.S. and they’re expected to be approved in the coming years (some allergy tablets, which do the same thing, have already been approved). After 6 months of being on the drops, I didn’t feel better. I thought immunotherapy wasn’t working and I continued to feel horrible. Later that year I moved home from university and thought I would try the process again. This time, I searched for a reputable allergist in California and found someone well-reviewed. I was willing to travel if the doctor was really good. I found a great allergist 2 hours from my house. I made an appointment and visited them to be retested. At my appointment, the doctor was surprised at my previous allergy test. Why wasn’t I tested for the full spectrum? Why did they give me drops? I answered, “I’m not sure”. He thought I might have additional allergies that weren’t diagnosed, and if so, that was likely the reason I wasn’t feeling better. The majority of these allergens came back positive with dust mites especially high. The nurses explained the benefits of allergy shots, also called subcutaneous allergy immunotherapy. Allergy shots are approved by the FDA and have been used in the U.S. for decades. Current research also shows they have a better rate of success than allergy drops (here is an informative article). Allergy shots are administered by a doctor and injected in the fatty tissue, usually in the back of arm or fatty area of the upper leg. The needle is tiny, so even though the thought of shots might be scary, it won’t hurt much at all. The doctor ordered a custom mixed extract filled with all the things I was allergic to and after a few weeks I began my second attempt at immunotherapy. I was given 2 shots, one in each arm. The 1st shot was a mix of pollens containing grasses, weeds, and trees. The 2nd shot was a mix of dust mites, animals, and molds. Allergists are careful not to mix certain allergens because they can degrade the potency. My first year on the shots was a phase called “the build up”. Twice a week, or every 3-5 days, I was injected with the shots and the strength of the shots was gradually increased. Sometimes I could feel the strength of the shots and I would get local reactions (slight redness or swelling). Often, I would be extremely tired the following 1 or 2 days, but I always bounced back with extra energy on day 3. I became very in tune with my body because I could feel my reactions to the shots. At times my allergy shot side effects were tough to deal with. As the shots became stronger, I would bounce back a little stronger as well. I slowly felt less tired, and my symptoms such as watering eyes, stuffy nose, and itchy skin, slowly dissipated. It took me 1 year to build up to the top dose. After about 14 months I began the maintenance dose. This dose would be maintained for the next few years as my body continued to adjust and eventually stop reacting. I reached the maintenance dose in the fall of 2014 and continued the dose all winter. I definitely felt better than the previous year however I knew there was still a ways to go. Spring eventually arrived and so did the tree, grass, and weed pollen. The high dose of shots combined with the pollen left me feeling miserable. When I took the shots, my symptoms actually got worse and stayed that way. I felt really bad, but I continued with the shots all spring and summer. I wanted to tough-it-out. Eventually, in the fall and winter, I felt better. Sure enough, once spring came again I felt bad again. I had no choice. I had to tell the doctor that the shots were too strong during spring and summer. He quickly reworked the amount of extract in my shots and lowered the dose. I immediately felt better. The following year was a huge improvement. The dose adjustment left me feeling better and with fewer symptoms. I felt like I was improving again. My improvements were fantastic. Overall my symptoms had decreased and I had more energy than ever. I no longer needed an afternoon nap either! But there was still one problem…however small. I still had symptoms (small rashes and itchy eyes) and I could tell that the dust mites were still bothering me. In my 4th year, I was required to be allergy tested again. I knew the reactions would show improvement. I also knew they wouldn’t be perfect and I expected the dust mites to still show a decent reaction. While many of the pollens, molds, and animals showed few test reactions, the dust mites were persistent and still showed noticeable problems. After talking to the doctor, he decided to single out the dust mite. He would slightly increase the strength of the dust mite without adjusting the others. I welcomed the decision, believing I could still get improvement for my allergies. So here I am, 2 weeks into the newly adjusted dose. I still feel subtle reactions after the shots, but I’m optimistic that I will improve more over the next several months. At times it feels like a few steps forward, then a step back however slowly, I know the shots are doing their job. With the benefit I’ve received from allergy shots, I’m fine with the commitment and cost. I was miserable before and now I no longer have daytime fatigue. It’s important to understand allergy shots are a slow process. Be patient, trust the process, and go to an allergist with a good reputation. Sometimes general practice doctors will administer allergy shots. I would advise against this. An allergist/immunologist is specialized and understands allergy much more than a GP or even a dermatologist. In fact, I went to multiple GPs and dermatologist before I was allergy tested. They all told me I didn’t have allergies and gave me cortisone cream, nasal spray, and even steroid pills. In hindsight, I find that strange and it frustrates me. It’s one of the reasons it took me 15 years to realize I had allergies. Also, you need to consider the cost. Allergy shots aren’t cheap, so it’s important to have good insurance or be willing to pay a lot out of pocket. I am fine with paying extra money out of pocket because it’s my health. I save money that I’d otherwise use to eat out or for entertainment and I spend it on long-term health. I hope my post on my personal experience with allergy shots helped you in your search to cure your dust mite allergy. This was my allergy shots review. I will continue to update my personal experience in hopes that it can answer your questions. Visit our blog at Dust Mite Solutions to read more about allergy and products reviews to protect yourself! Please note that I am not a doctor and the views expressed in this article are my own. 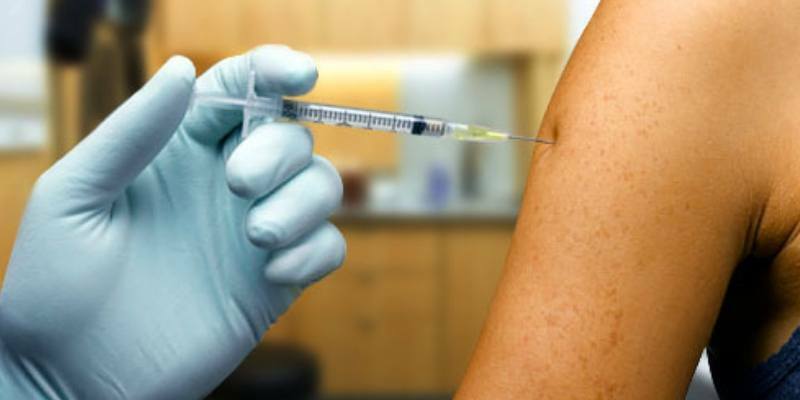 You should consult with your doctor before making a decision about allergy shots.